AVORA is a privately owned and operated healthcare company with locations in Asheville, NC and Black Mountain, NC specializing in outpatient orthopedics, sports performance, balance, dizziness, vertigo, and concussions. We pride ourselves on providing quality rehabilitation and outstanding customer service in a welcoming and comfortable atmosphere. Our story began in 2008 with a bit of tragedy when Kim Fox, founder of AVORA, was struck by a pickup truck while riding her motorcycle. Most of her injuries were the result of being thrown over the truck and landing in the street on her head and knees. She spent the next year undergoing surgery and rehab. Prior to the accident, Kim had been an orthopedic PT for over 15 years, but also had a passion for working with patients suffering from balance, dizziness, and vertigo. Ironically, her year in recovery gave her the time she needed to further her studies in vestibular disorders. 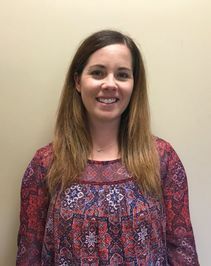 In 2009 she briefly returned to her previous employer in Black Mountain where she quickly discovered that she unable to continue working as an orthopedic therapist due to her physical limitations. With limited options available, she found a business partner and they opened their own physical therapy clinic in South Asheville where Kim could focus on working with balance & dizzy patients. In 2010 Kim was informed that her former employer in Black Mountain went out of business and the clinic space she once worked in was available for occupancy. Kim loved the idea of returning to her Black Mountain patients and decided to open a Black Mountain clinic on her own under the name of Western Carolina Physical Therapy. It too, was successful and in 2012 Kim sold her share of the previous business to her partner. In 2013 Western Carolina Physical Therapy opened a second location in East Asheville known as the Reynolds clinic on Charlotte Hwy. The company began investing more heavily in balance and vestibular equipment, but Kim's vision was to have a dedicated balance & vestibular center that could really push the limits by having the best tools and technology available to help her patients. In 2016 Kim opened the Asheville Balance & Vestibular Center in Centre Park. A 7,000 square foot, multi-discipline health center dedicated to helping patients who suffer from conditions related to imbalance, dizziness, vertigo, and concussions. It had almost everything that a patient would need, minus a few pieces of very expensive equipment generally only used in research facilities and teaching hospitals. Of course, Kim wanted those too. In 2017 Kim purchased the additional equipment she wanted for the balance and vestibular center and about the same time, decided it was time to re-brand Western Carolina Physical Therapy and the Asheville Balance & Vestibular Center under one, easy new name. The name became "AVORA". People often ask where AVORA came from or what it means. Coming up with a new name in this era is extremely difficult and there are several fragmented stories about its creation. The truth is, only a few people really know the story behind it. It is our hope that patients will find AVORA to be synonymous with excellence. Today, all of our services and locations carry the AVORA branding and we remain committed to the same excellent care and outstanding service as we did when we started in 2009. The secret to our success is simple. Treat people right, hire the best employees, buy the best equipment, and solve complex problems. As a leader in our field of expertise, we now see patients from around the world and continue to grow. Thank you for allowing us to share our story with you!​ Learn more about each of our locations by watching our virtual video tours! Kim is a Doctor of Physical Therapy who began her career in the United States Air Force Reserves in 1991, serving with both active duty and reservists from 1991 to 1997. She completed her Masters of Physical Therapy Degree in 1996 at the University of Maryland at Baltimore with special recognition for neurology and research. In 2011 she received her Doctorate in Physical Therapy from the University of Montana. In addition, Kim is a Certified Vestibular Therapist and holds an Advanced Vestibular Therapist certificate. She is on the editorial review board for the Vestibular Disorders Association (VEDA) and is a faculty member of Education Resources, a nationally recognized teaching company that specializes in continuing education classes for medical professionals. She has worked in a variety of setting to include hospitals, home health, skilled nursing facilities, in-patient, out-patient and private practice settings. She continues to work with a variety of patients, but now specializes in the treatment of balance and vestibular disorders including MdDS. Kim has been involved in many community volunteer programs to include the Mid-Atlantic Burn Camp, volunteering as a camp counselor working with burn survivors ranging in ages from 6 to 18 years old, a high angle rescue volunteer and a volunteer firefighter, with extended training to fight wild land fires with the North Carolina State Forestry Service. Mark has worked in business and information technology for many years. 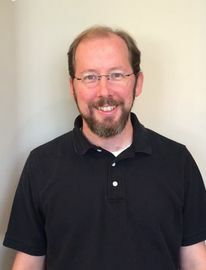 He holds a Bachelor's Degree in Computer Science from the University of North Carolina at Asheville and a Master's Degree in Project Management from Western Carolina University. He is currently enrolled in an MBA program to hone his executive skills and looks forward to graduation in 2019. ​Mark's dedication and integrity come in part from 15 years of service in the United States Air Force and the United States Army where he learned to take care of others and "make it happen". In his spare time, he enjoys working outdoors and reading. One of his favorite books is by Lee Iacocca, title "Where Have All The Leaders Gone?". A reminder that complex problems don't have to be complicated and good leaders know how to keep it simple and build a strong team. Kate has been coming to the East Asheville clinic and the AVORA Health Center several times each week since she was 3 months old. She prides herself on performing a variety of tricks and greeting puppy-friendly patients. When she's not meeting new fans, she spends most of her time in the office sleeping or following Barbara around the office. Steve is a physical therapist specializing in orthopedic and sports medicine physical therapy. He completed his Physical Therapy degree in 1995 from Northeastern University in Boston, MA. After graduating college, he moved to Asheville from central New York and has been practicing physical therapy here for the past 22 years. In 2016, Steve became a Board Certified Clinical Specialist in Sports Physical Therapy. He is also a certified Emergency Medical First Responder. Steve has worked in many healthcare settings including skilled nursing, inpatient acute care, home health, and outpatient orthopedics. For the past 12 years, he has worked in an outpatient orthopedic and sports medicine clinic providing pre-operative and post-operative treatment of orthopedic injuries, sports and work related injuries, injury prevention, and sports performance training. Steve enjoys working with a local USA Swimming competitive swim team and other local endurance athletic groups assisting the athletes with sports performance training and injury prevention. With his wife and two daughters, Steve enjoys paddling the many rivers in WNC, hiking, running and biking. He loves to compete in local triathlon races, cyclocross events, and is involved in a local bicycling advocacy organization. Shawn received his Doctorate of Physical Therapy Degree at the University of Puget Sound. He previously obtained his Bachelors Degree in Exercise Science from Willamette University. Shawn brings over 10 years of experience in orthopedic physical therapy to AVORA. He has particular interest in injury prevention & rehabilitation for runners. ​In his spare time Shawn enjoys trail running, fly fishing, & golfing. He moved to the Asheville area from Oregon in 2007, where he was born & raised. ​Krista graduated from the University of Dayton in 2009 with a doctorate in physical therapy. She has always had a strong appreciation for physical health and pain prevention, which led her down the path of a career in physical therapy. She has worked in a variety of settings including skilled nursing facilities, acute care hospitals, and inpatient rehab before focusing on outpatient orthopedics. She has a keen interest in shoulder injuries and prevention, especially for yoga practitioners. When she is not at work, she enjoys reading, gardening, and playing with her many rescue animals. She can also be found in a yoga class or hiking in the beautiful Blue Ridge Mountains. 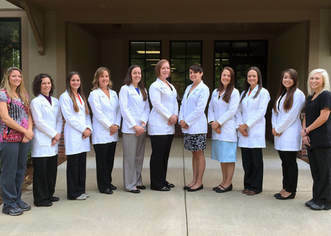 Katie graduated from the Medical University of South Carolina with a doctorate of Physical Therapy. Throughout graduate school she was a tutor in Neuroscience and volunteered at CARES, a student run clinic. Upon graduating, she took her skills to Colorado and gained experience in a variety of settings. In 2016, Katie traded the Rocky mountains for the Blue Ridge Mountains. When she isn’t in the clinic, she can be found outside with her dog, hiking, biking, and attending dance classes. ​Joshua graduated from Western Carolina University with a Doctorate in Physical Therapy. He has 7 years previous experience as a physical therapist assistant as well. 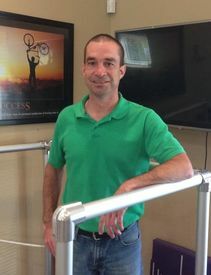 He is passionate about physical therapy and its ability to help people regain their desired level of movement and ability. He has strong interests in orthopedics, manual therapy, pain science, and neurodynamics. ​Joshua also has a passion for continuing education and possesses a Certification in Dry Needling (Cert. DN), Certification in Spinal Manipulation (Cert. SMT), and a Diploma in Osteopractic Physical Therapy (Dip. Osteopractic). Joshua grew up in Delaware but has lived in Asheville since 1997. He enjoys living in the mountains and has numerous interests including traveling, martial arts, hiking, running, cooking and spending time with his wife and cats. 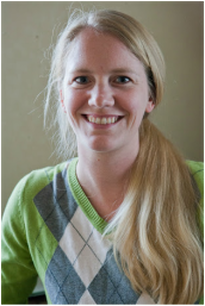 Brittany is a Doctor of Physical Therapy specializing in vestibular rehabilitation. She is a graduate of Virginia Commonwealth University and has a bachelor's degree in exercise science from Messiah College. She enjoys the challenges associated with treating patients affected by neurological disorders and appreciates serving a community that values holistic health. Brittany enjoys traveling and frequents Central America as well as areas of natural beauty within the United States. She feels at home in the mountains, where she enjoys hiking, biking, and running to places not reachable by car. She looks forward to competing in running races and triathlons in the Asheville area. Tim received his Doctorate of Physical Therapy from Western Carolina University. He works primarily with the general orthopedic population in an outpatient setting, working alongside patients through recovery and assisting them on their road to better movement. He is passionate about helping patients achieve their goals and is fascinated on a daily basis by the human body’s movement system. Tim enjoys travelling, learning new things, and taking on new challenges, whether it be through playing various sports or exploring the outdoors. You may find him outside of work hiking with his pup, throwing a Frisbee, or tucked into a corner with his nose in a suspense novel. He was born and raised in western North Carolina, however he spent some time in the Midwest attending undergrad and working for a non-profit organization overseas prior to returning home to NC. Keith is a Doctor of Physical Therapy specializing in vestibular rehabilitation. He is a graduate of East Carolina University and has a bachelor’s degree in exercise science from the University of North Carolina at Greensboro. He enjoys working with patients who are challenged with balance and vestibular disorders. He also enjoys educating patients and other professionals about vestibular disorders and rehab. Keith enjoys spending time with his wife and two dogs. They like to go hiking and spending time outside. He also enjoys traveling , especially to new places. Asheville Head, Neck and Ear provides full service audiology testing and hearing aid services within the AVORA Health Center. Dr. Larrabee is a Clinical Psychologist and with extensive training in research based assessment and therapeutic methods. She provides therapy for pediatric and adult populations with special interests in working with individuals with hearing loss, vestibular disorders, medical co-morbidity, and women’s health. 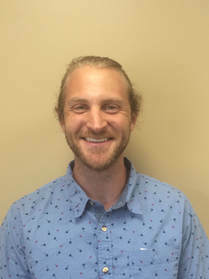 Dr. Larrabee has offices in East Asheville (at the AVORA Health Center), and in South Asheville (at Carolina Mountain Psychiatry), and also provides Psychological assessments and supervision at Mission Hospital as the service line leader for Psychology. She is available by referral only. Specializing in group and individual couseling services. When our body hurts, it is trying to tell us something. The body wants to heal itself, it wants to feel good. But sometimes we need help from the outside to get the desired results. Massage therapy is one of the best tools to help us to feel where our tension is and help us release it. As the facilitator, I can give your body the push it needs to start the healing cycle. I work with people for all reasons: looking for relaxation, specific new injury treatment, working with old injuries and patterns of restrictions, and people looking to let go of old patterns and use your body in its most efficient capacity. Dr. Dasgupta is an integrative medicine physician with a background in pediatrics. She has a special interest in diet and nutrition and has been practicing medicine for over 20 years. Dr. Dasgupta believes in taking her time with patients and has a passion for helping those with complex needs.